A mausoleum dedicated to a warrior felled by misplaced loyalty and tragic circumstances. 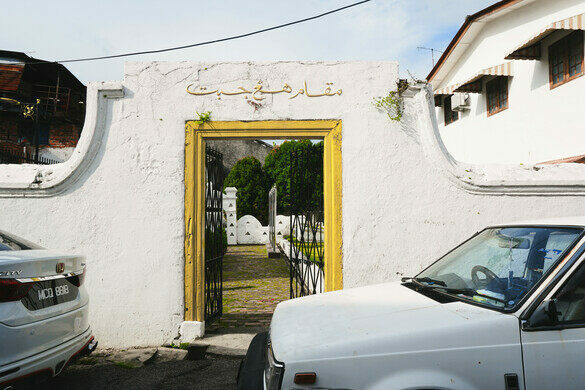 Visitors strolling down a residential street off Malacca’s bustling historical downtown will notice a quiet graveyard tucked among the houses. The graveyard is small and unassuming, save for a few informational signs toward the back. These grounds hold the tomb of Hang Jebat, one of Malacca’s most infamous characters, whose undying loyalty to the wrong person was his downfall. Self-mutilation in the name of beauty. The largest Chinese cemetery in the world outside of China dates back to the 15th century. According to several sources of literature, Hang Jebat began his career as one of Malacca’s most legendary warriors. Hang Jebat was part of a group of five established fighters, along with his best friends Hang Tuah, Hang Kasturi, Hang Lekir, and Hang Lekiu. Hang Tuah in particular was famed throughout the region for his martial skills as a silat master, and earned many accolades and titles in service of Sultan Mansur Shah during the 15th century. Hang Tuah’s meteoric rise to fame earned him his fair share of jealous rivals, with one rival eventually conspiring to bring the famed fighter down. Rumors circulated around the palace that Hang Tuah had indulged in adultery with one of the sultan’s court stewardesses, an illegal act that would have dire consequences. Furious, the sultan sentenced Hang Tuah to death without ordering a proper trial. But unbeknownst to anyone, not even Hang Tuah’s closest friends, the bendahara (chief minister) Tun Perak decided not to carry out the death sentence. Fearing the wrath of the people, the bendahara spirited Hang Tuah away to a cave, where the legendary warrior would be safe from further plotting. Out of grief for his friend, and in retaliation for what he considered an unjust murder, Hang Jebat rebelled by running amok in the villages. Sources differ on what exactly happened, but the stories all agree that Hang Jebat’s revenge led him to injure and kill scores of people, with the sultan’s forces unable to restrain him. The sultan came to regret Hang Tuah’s death sentence, and upon his lament, the loyal Tun Perak immediately revealed Hang Tuah’s survival. It was a widespread belief that only Hang Tuah could stop his friend from hurting more people, so he was immediately recalled and given full amnesty for his supposed crime. The price for the pardon: He had to kill his best friend Hang Jebat. When confronted by his friend, Hang Jebat explained that he had rebelled to demonstrate his loyalty to Hang Tuah and express his anger at the sultan’s unjust sentence, but the damage was done. Hang Tuah could not accept this explanation, as Hang Jebat’s actions had put him in direct revolt, and above all, Hang Tuah was unquestionably loyal to his sultan. Legend has it that the two skilled warriors fought for seven days, with Hang Tuah eventually gaining the upper hand and slaying his closest companion. 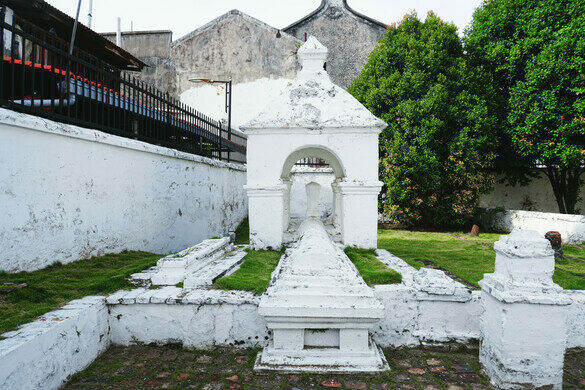 Today, Hang Jebat’s mausoleum is tucked away among sleepy shophouses and located at the back of the small cemetery. 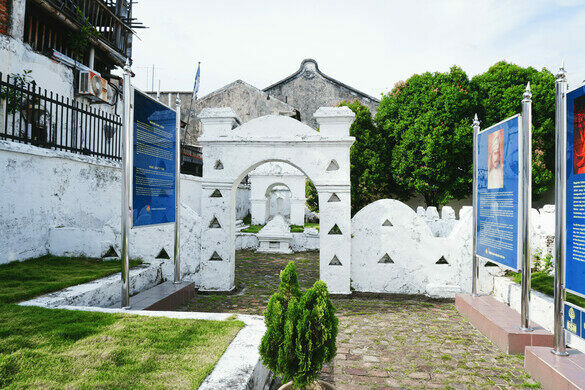 Make your journey to the end of the street, where you can peek into the almost-forgotten graveyard, the final resting place of one of Malacca’s finest warriors, doomed forever to play the role of the villain. The remains of this RAF plane and its crew were lost for decades, nearly engulfed by the Malaysian jungle. Holy Hindu shrine in an enormous, monkey-filled limestone cavern. A magnificent Neogothic tomb hides within this Italian fairytale-like forest. Five million people are laid to rest here, more than the population of Madrid itself. This commanding mausoleum holds the remains of Muhammad Ali Jinnah, the founder of Pakistan.